What's not to like? She's the mother of a precious little girl, and while she and the father get along, they were never married and she likes her single life, most of the time. He met her when he had business with the father of her child and he hopes this business trip turns into more. The setting is beautiful--ranch country with mountains and snow, horses and dogs. Everyone looks great in their jeans and family is everything. With some Christmas love in the air, what more could you want? If you are looking for a book with intricate plot turns, lots of symbolism and an ambiguous ending, this isn't it. 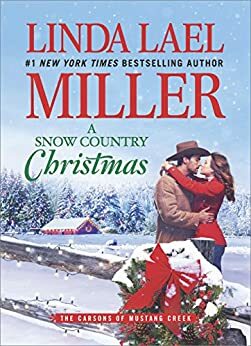 It's a Christmas romance and things happen pretty much as expected, and sometimes, that's a good thing. 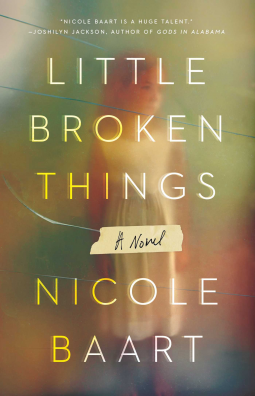 An engrossing and suspenseful novel for fans of Liane Moriarty and Amy Hatvany about an affluent suburban family whose carefully constructed facade starts to come apart with the unexpected arrival of an endangered young girl. I have something for you. When Quinn Cruz receives that cryptic text message from her older sister Nora, she doesn’t think much of it. They haven’t seen each other in nearly a year and thanks to Nora’s fierce aloofness, their relationship consists mostly of infrequent phone calls and an occasional email or text. But when a haunted Nora shows up at the lake near Quinn's house just hours later, a chain reaction is set into motion that will change both of their lives forever. Nora’s “something” is more shocking than Quinn could have ever imagined: a little girl, cowering, wide-eyed, and tight-lipped. Nora hands her over to Quinn with instructions to keep her safe, and not to utter a word about the child to anyone, especially not their buttoned-up mother who seems determined to pretend everything is perfect. But before Quinn can ask even one of the million questions swirling around her head, Nora disappears, and Quinn finds herself the unlikely caretaker of a girl introduced simply as Lucy. While Quinn struggles to honor her sister’s desperate request and care for the lost, scared Lucy, she fears that Nora may have gotten involved in something way over her head—something that will threaten them all. But Quinn’s worries are nothing compared to the firestorm that Nora is facing. It’s a matter of life and death, of family and freedom, and ultimately, about the lengths a woman will go to protect the ones she loves. I love Nicole Baart's writing. I love her word choice, the pictures she paints with her writing, the way her writing sounds when read aloud. Reading what she writes is an absolute joy, and she is one of only a few authors who get that type of accolade from me. Most of the time, the words are a medium, a way to get the story across--nothing more or less. I don't notice them unless the writing is, in my opinion, extraordinarily good like Baart's or extraordinarily bad (like many of the free/cheap ebooks on Amazon). Unfortunately, as has been the case with some of her other books, I don't like the ending of this story. It just didn't seem realistic. Too many things had to happen just the way they did for everyone to get the happily ever after that they got. One of the characters is a woman in her 50's, and while perhaps our social classes are different, and that accounts for the different lifestyle, I found the things she did and the life she led to be more typical of women in my mother's generation than of women in mine (I'm in my mid-50's). 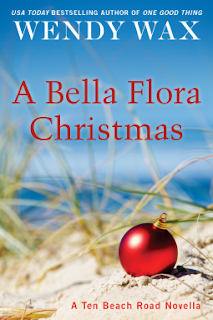 When Gracie MacDougal returns to Seagull Point, Virginia, seeking to reform her workaholic ways, she discovers more than relaxation. The picturesque town calls to her, as does the waterfront Victorian house she envisions as the perfect bed-and-breakfast. But one person stands between Gracie and her new goal…and he isn’t budging. 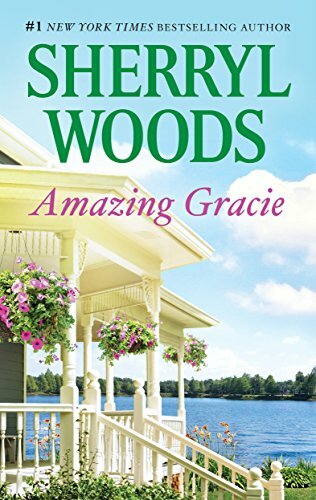 Southern charmer Kevin Daniels isn’t interested in selling Gracie’s dream house, but he’s definitely interested in something else…her. Enticing the uptight businesswoman into letting down her hair becomes his new mission in life, but beyond that? He already has way too many people depending on him, and has no intention of adding one more. Gracie’s not looking for a home. Kevin’s not looking for a wife. But sometimes even the best intentions can wind up going wonderfully awry. Previously published by Harlequin Mira in 2010. While perusing the bargain rack at my local used paperback store Amazing Gracie caught my eye. It is a sweet romance about Gracie, a hotel executive and workaholic who quits her job because she has a different vision for the luxury hotel than does her new boss. She goes to a small town in Virginia, a place she had vacationed with her family once, as a child. She realizes that she has no one who is important to her--no family, no close friends. While there she falls in love with an old-fashioned Victorian house, which she decides to turn into a bed-and-breakfast. The only problem is that the property manager, Kevin, won't tell her who owns it (he does) but they start spending time together. Guess what happens? I'm publishing a new post on this book because it is available on NetGalley. As I got into the book I realized I had already read it. I'm guessing that this book would be a lot more fun if I had read the other books in the series. As it was, to me, there were far too many characters doing far too little and nothing ever quite grabbed me.